Whether speaking or performing, singing or writing, Karen remains committed to a delivery that brings the Word of God to life. Dedicated to advancing the Kingdom of God through the dramatic delivery of His written Word, Karen is a seasoned minister who performs entire books of the Bible with captivating visual effects and symphonic underscores. 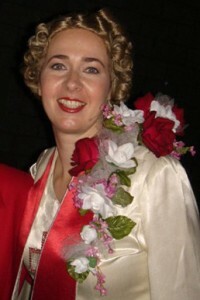 Another unique aspect of Karen’s ministry is her portrayal of the renowned evangelist, Aimee Semple McPherson, preaching one of her many timeless messages entitled, “This Is My Task” to audiences around the world. Like a three-stranded cord, worship, the Word and dramatic expression come together whenever Karen ministers, fully engaging her audience.